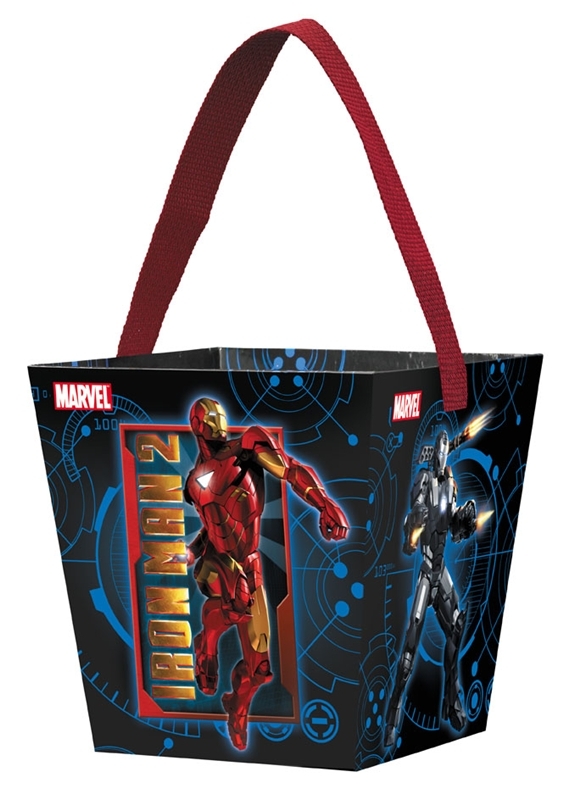 Carry your candy with style with this Marvel Iron Man Cardboard Candy Cube. The candy cube measures 6 inches wide, 6.25 inches tall, and 6 inches deep. The candy cube features an attached red nylon handle. The cube is decorated on all four sides with the blue outlines of Iron Man’s core reactor. Two sides feature a posing Iron Man next to the Iron Man 2 logo, and the other two sides feature War Machine firing weapons from his shoulder and arm blasters. Accessorize your Iron Man or War Machine costume this Halloween or Comic Con with this cardboard candy cube. 6 in. x 6.25 in x 6 in.